It’s pretty easy to get so caught up in trying to please everyone else that you forget to do things just for yourself. I’m sure we all have been guilty of this at some point, but for me, the biggest example of this for me is when it comes to cooking. On the weekends, all of my meal-planning revolves around what everyone will like. At dinnertime, I generally will make two different dinners just to make sure that the twins get a dinner that they like and Chris and I get to eat something that fits our tastes more than plain creamy pasta. For Sunday brunch, meal-planning becomes a careful dance, trying to create something that everyone will like. Recently, however, I decided I needed to make a little something, just for me. I knew Chris and the twins would be perfectly happy just eating cereal and if I offered them oatmeal, it would quickly be turned down by all. We also had a ton of apricots from our CSA that needed to be used up, and the twins are deathly afraid of stone fruits ever since they learned that the pits are poisonous (it doesn’t even matter if we remove the pit for them- they still think they will fall ill after one bite). 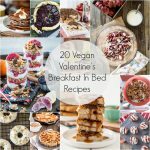 With all of this in mind, I decided to make a breakfast version of one of my favorite desserts. Just for me. I must admit, I felt a little guilty about letting the rest of the family fend for themselves. It’s like when you decide to take a yoga class rather than doing the grocery shopping or picking up the dry-cleaning. You know it’s great for you, but you fear that you’re letting others down. 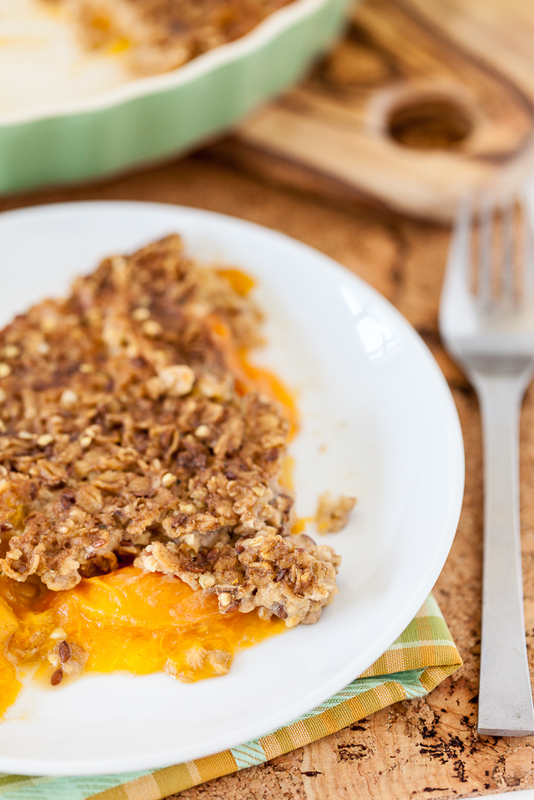 This guilt quickly went away, however, when I began to smell the apricot crumble oatmeal. Hints of cinnamon and ginger along with a scrumptious warm and fruity scent filled the house. No one else even noticed the beautiful aroma but I just couldn’t wait for my treat to come out of the oven. Once it had emerged from the oven and cooled enough for me to scoop some onto my plate, I dove into my beautiful baked oatmeal. 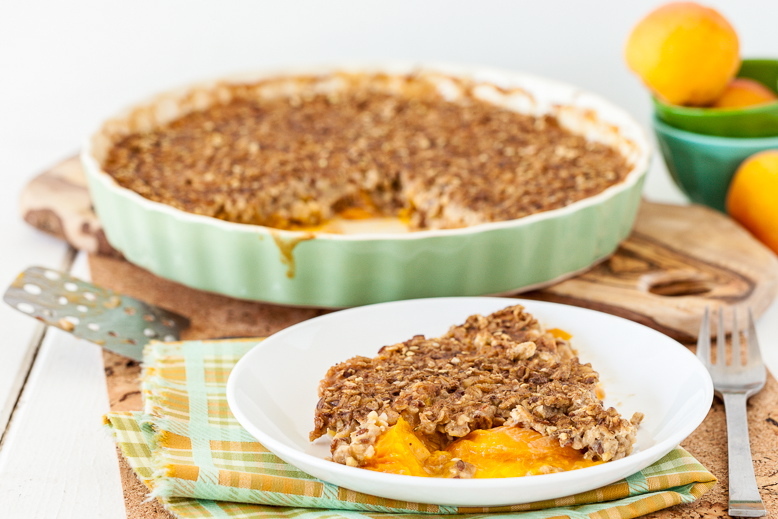 Warm, delicious, gooey and crumbly- this baked apricot crumble oatmeal made for the perfect Sunday morning brunch for one (though there is definitely enough to share and I even had leftovers the next day). I did share a bite or two with Chris because he was curious, but I really just sat peacefully by my dining room window and enjoyed each and every bite. Sometimes you just have to do that sort of thing. 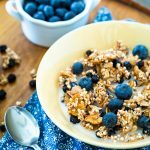 The night before you wish to serve this dish, combine all of the oatmeal ingredient together in a air-tight container, mix well, and allow to chill in the refrigerator overnight. The next morning, preheat the oven to 375. 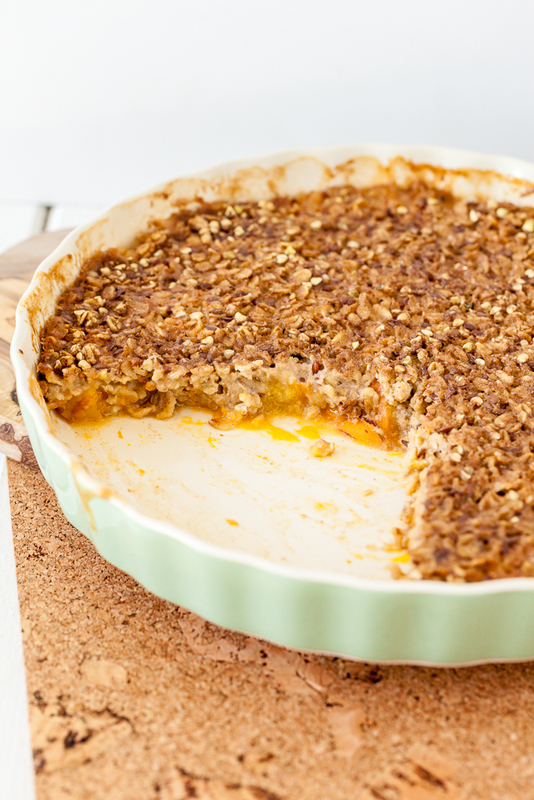 Lightly grease a pie pan or square baking dish. Set aside. 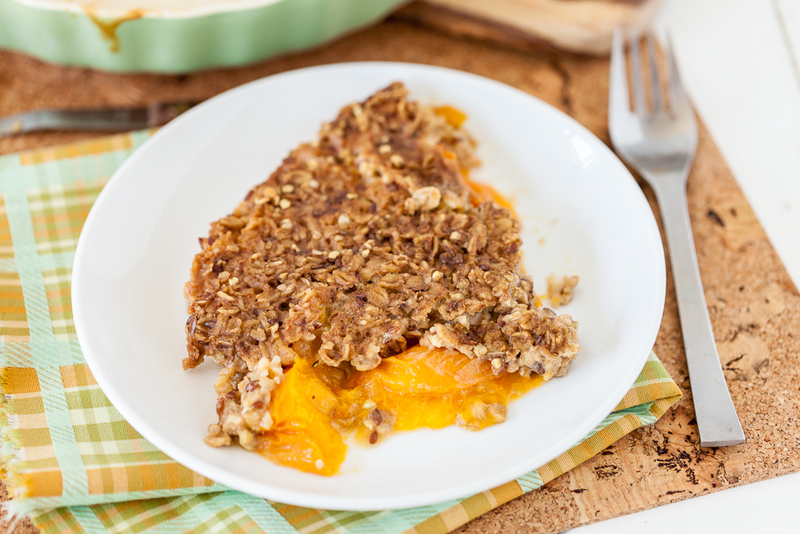 Combine the apricots with the lemon juice, stevia, and cornstarch. Mix until fully incorporated. Pour into the prepared pie pan/baking dish. Remove the oatmeal mixture that has been soaking overnight. Pour the oatmeal over the apricot mixture. 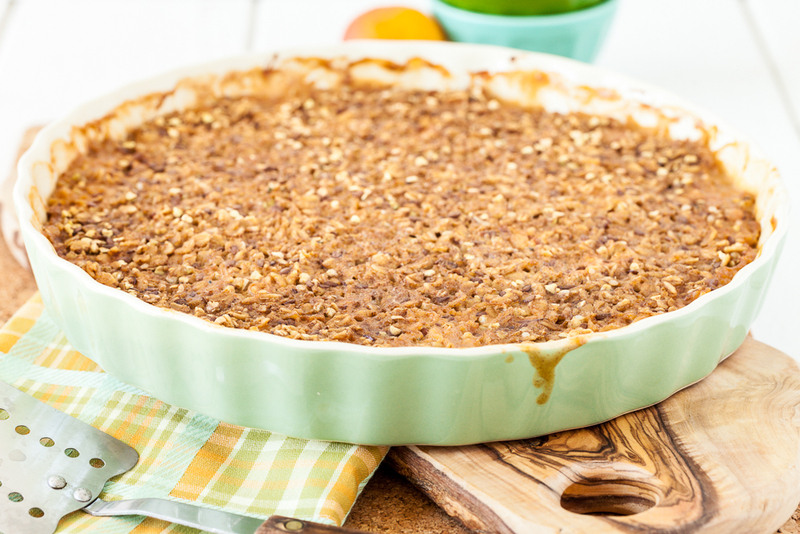 Bake in the preheated oven for 20-30 minutes until oatmeal is mostly firm and the fruit mixture is bubbling. Remove from oven and let sit for about 5 minutes before serving. Enjoy! 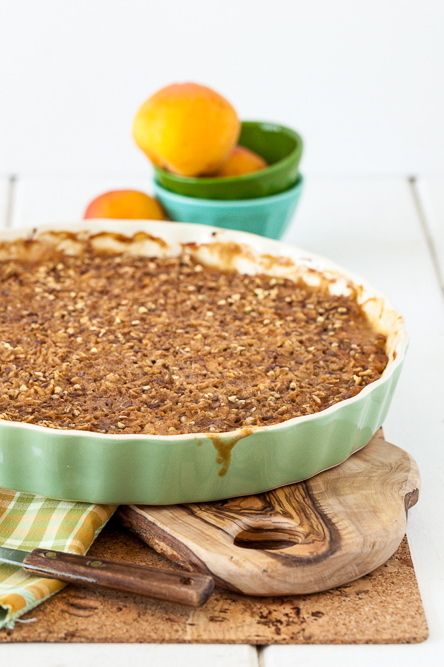 32 Responses to "Baked Apricot Crumble Oatmeal"
good for you, lady! this looks like the perfect breakfast and i would happily make this for myself and not share with anyone. i can almost smell the crumble in the oven..and the gooeyness..i just can’t get enough! And you definitely have to do things for you – especially in the kitchen. My hubby is somewhat of a picky eater and I miss out on my fans since he refuses to touch them. So sometimes, i just let him know ahead that he should “fend for himself” in a nice way. And cook up something just for me! 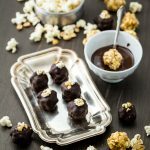 Maria Tadic recently posted…Cha Cha Cha Chia! The ’80′s Returns! 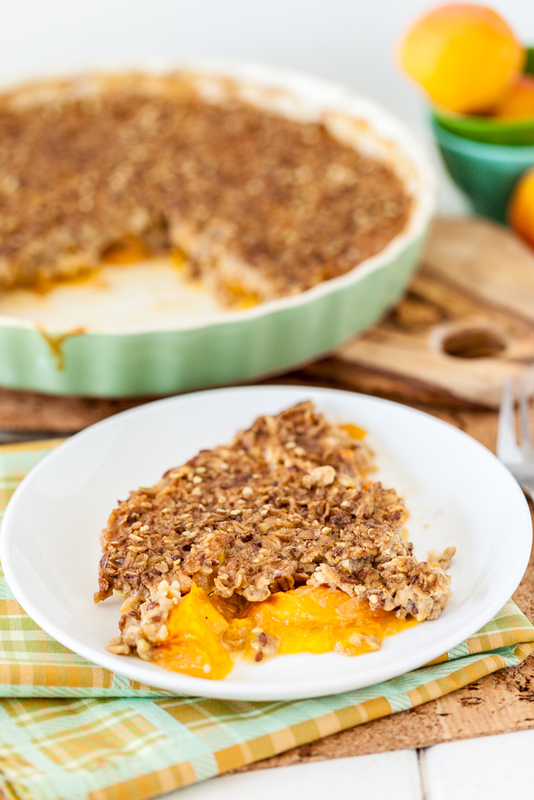 Oh wow, I know what I am going to do with those fresh, ripe apricots in my fridge this weekend! I love that baking pan and your creativity! Thanks for inspiring and being positive! Maybe just maybe i might eat Oatmeal this way. :)) i love the vibrant apricots! Richa recently posted…Quinoa and Black Eyed Peas with Cashew Queso. Nut Butter Universe Review and Giveaway! On another note, the twins sounds absolutely hysterical. Whenever you speak of them, I always envision lots of bowed heads, whispered conversations, covert communications and some kind of special language being spoken between them to settle on even the most mundane of decisions. They sound like little cohorts, in the sweetest way possible. When you talk about the two of them, I often find myself, smiling, tsking and thinking, “Those twins!” 🙂 They sounds like SUCH a kick to be around. And so happy to see the stevia love! I started using this stuff YEARS ago but only for use in my tea. I started branching out and using it for other things a a couple of years ago. Then, about a year ago, it became my near exclusive sweetener in the kitchen for EVERYTHING, and I just adore it. I can’t imagine what I would do without it in my kitchen. Sometimes I catch myself thinking about my OWN perceived boringness (is that a WORD?) and say, “Geesh. WHEN did I get so OLD? !” LOL Things I vowed, as my younger self (much less than a decade ago, mind you), I would never do, say, or listen to, are now my favorite pasttimes, most spoken words, and go-to listening preferences. 🙂 I hear loud music and think, “WHY do they listen to it SO loudly? How can they possibly be enjoying that? You can’t even HEAR it over the bass.” All the things my mother used to say. Well, not the bass part. LOL 🙂 My first reaction upon seeing young girls with their bellies exposed wearing skirts or shorts millimeters away from a paparazzi shot is to question their self esteem and fight the urge to tell them to put more clothes on. The twins are very lucky, though. Believe it or not, I’m a twin, and I never had what they have with MY brother. He wanted NOTHING to do with me after we were old enough to make our own friends (read: 4-5 years), and he never changed his feelings on that. SO, unfortunately, I never got to actually EXPERIENCE the whole “twin thing” despite ACTUALLY being a twin. :/ I envy the bond they have with one another; they’re SO fortunate to be able to experience that. This looks amazing Kristy. So important to be a little selfish at times 😉 And never feel bad about it! You do so much for others, you deserve a treat. And what a treat this is!! Get it girl! You definitely need to take care of yourself and your desires, and you deserve. I’m sure Chris would agree with me. I love this dish though. It’s funny to me that summer fruits are so phenomenal in warm/baked dishes, but I would endure any oven-created heat in the kitchen to try this one out! Jackie @ Vegan Yack Attack! recently posted…Vida Vegan Conference 2013-Food Recap Pt. 1! Thank you! It’s funny that you brought that up- summer fruits taste so wonderful when they’re cooked, don’t they? Sounds like a perfect treat to yourself, Kristy. When Kel is away I’ll usually make myself a pot of mac and cheez because he’s just not that fond of it – and for me it’s complete comfort food. Mmmmmm, Mac & Cheez! That is one of those foods that I can’t keep in the house because I lose all control around it. Perfect comfort food! This sounds delicious! I love apricots. And I agree – sometimes you just have to do something for yourself. P.S. It was so lovely to meet you and your husband at VVC! Your family is missing out! How could they have the option of that mouthwatering, fragrant crumble and opt for anything else? That’s so funny that the twins are so petrified of the stone in stone fruit that they won’t eat it. Hopefully with time they’ll come around! Until then, I’m glad that you’re taking time to make something for yourself that you’ll totally enjoy. I often save foods for lunch that I know David won’t enjoy like Soy Curls, gravy, sauerkraut, or anything with ketchup. I love this! 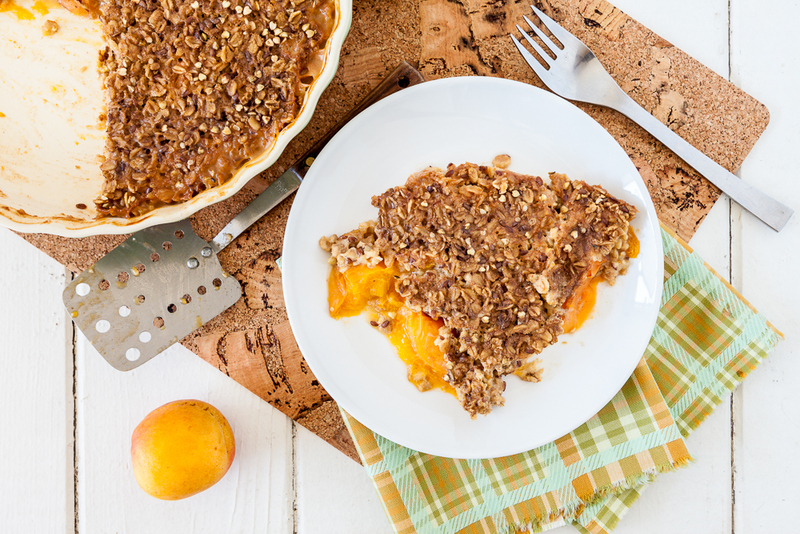 I’m on a apricot kick right now, so this is the perfect breakfast…or even snack or dessert!